Originally released in November 2017 in Japan, the G-Shock G-STEEL GSTB100XA-1A is now officially available in the U.S. with a list price of $600 USD. 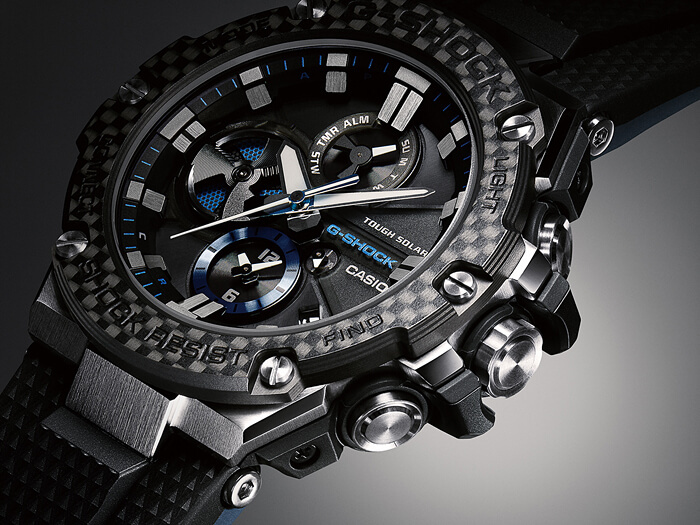 The GSTB100XA-1A has a Torayca carbon fiber bezel, silver stainless steel body, blue display and button accents, and a dual-layer black resin band with a blue inner layer. As a GST-B100 model, the watch features Tough Solar power and Bluetooth Mobile link. The G-Shock Connected app allows the watch to automatically adjust the time with an internet time server, provides easy adjustment of the watch settings, and has a phone finder function. Other features include shock resistance, 200-meter water resistance, 300-city world time, dual dial world time, 1-second stopwatch (23:59’59 total with split), countdown timer (24 hours), daily alarm, battery level indicator, and LED Super Illuminator light with afterglow. 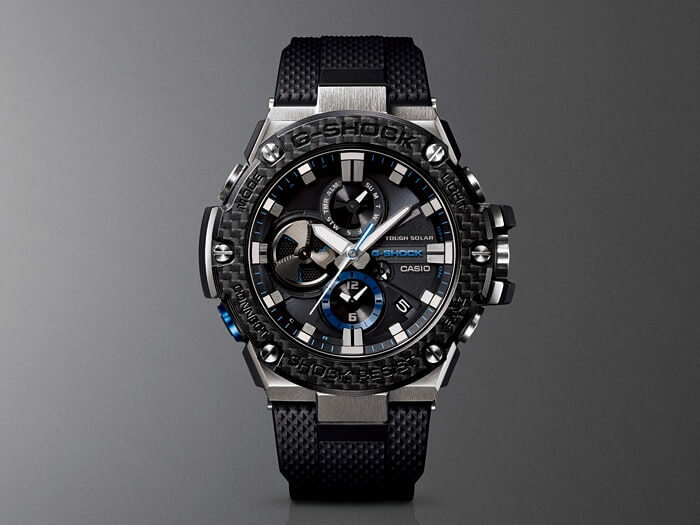 Like the all-black carbon fiber GST-B100X-1A, the GSTB100XA-1A has a sapphire crystal with a non-reflective coating and a stainless steel strap keeper which are upgrades over the standard GST-B100-1A. The GSTB100XA-1A is currently available at Amazon.com and Macy’s.